15 CU. FT. CAPACITY: Free up space in your vehicle by packing luggage, gear and equipment in this high-capacity rooftop cargo bag. UNIVERSAL FIT: Easily fits on most roof racks, raised side rails or crossbars on a variety of cars, trucks, SUVs, vans and other large vehicles with securing straps. 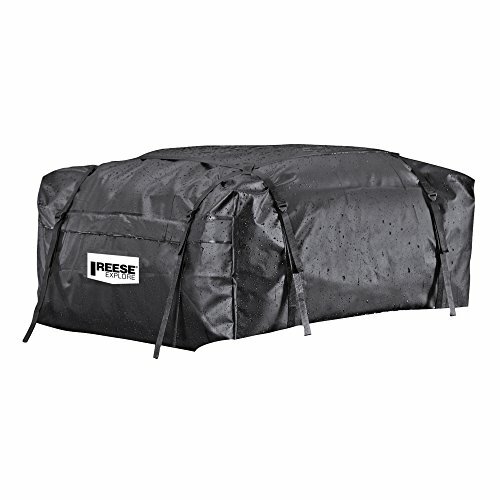 COLLAPSIBLE DESIGN: Soft-sided storage bag folds for easy, convenient storage when not in use and is less expensive than hard shell roof box carriers.